Our Eyelash Extension Refresher course is perfect for the technician that feels they have not had enough in-depth training to be an advanced technician or just feels the need to troubleshoot and refresh their skills in eyelash extensions. With eyelash extensions expanding rapidly and becoming very competitive this course will stand you out from every other technician offering lashes. With your new skills in eyelash extensions, you will be able to provide your clients the best consultation and knowledge in creating an individual look with exceptional practical and technical expertise of eyelash extensions which will help you grow your business. 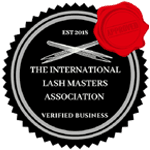 Overview of eyelash extensions: About lash extensions, eyelash product overview, extension styles, lash extensions, special occasion lashes, eyelash extension weights curls and lengths, glue information overview, storage and safety practices, contraindications and side effects, eye infections. How the growth cycle works and effects extensions. Application Techniques: Standard application, piggybacking, double layering, bottom lashes, troubleshooting difficult eyelashes. Application preparation: Occupational health and safety, client preparation, workstation setup. Client preparation and application, correct lash application, eyelash extension removal, the cause of eyelash damage. Marketing, pricing, retail product knowledge, frequently asked questions, aftercare.